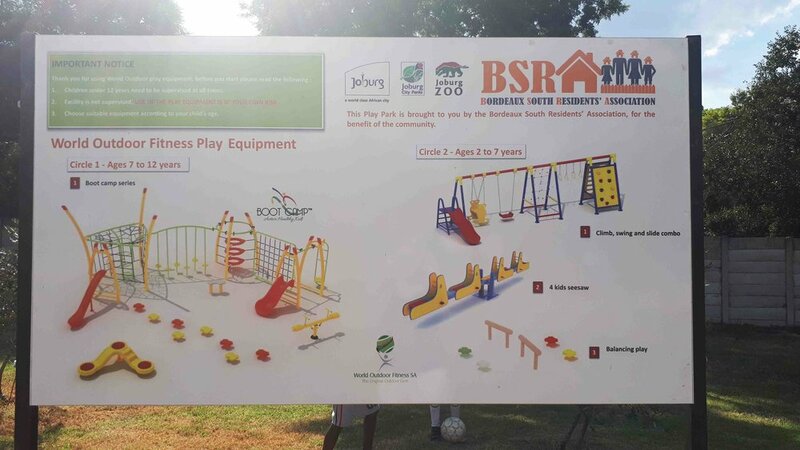 Tucked away in the boomed off suburb of Bordeaux South (the suburb is roughly located between Hurlingham and Blairgowrie in Randburg) in Johannesburg, lies a beautiful community park. 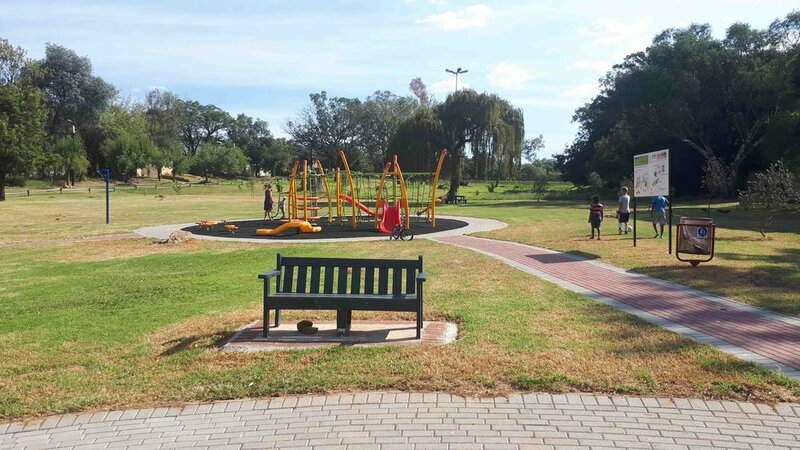 The Park is well maintained and cared for through the efforts of the active residents association (BSRA- http://www.bsra.co.za/) who have invested a fair amount of money into upgrading the Park and this has really made such a difference. 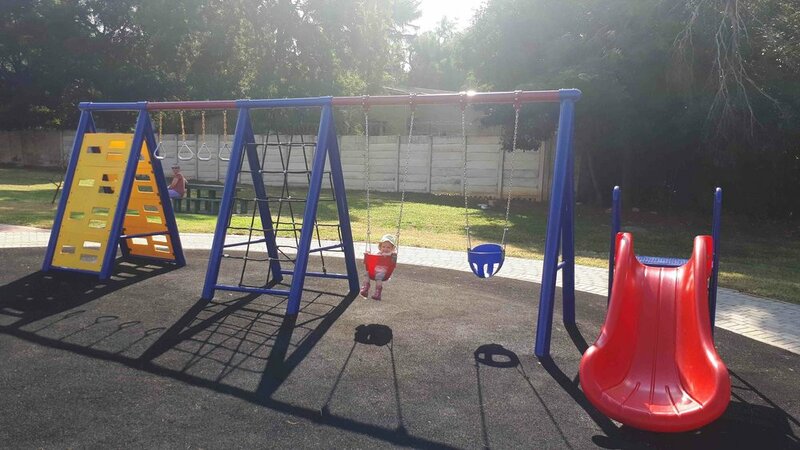 The Park is well used by families because of the extensive play equipment making this an amazing playground for kids of all ages. 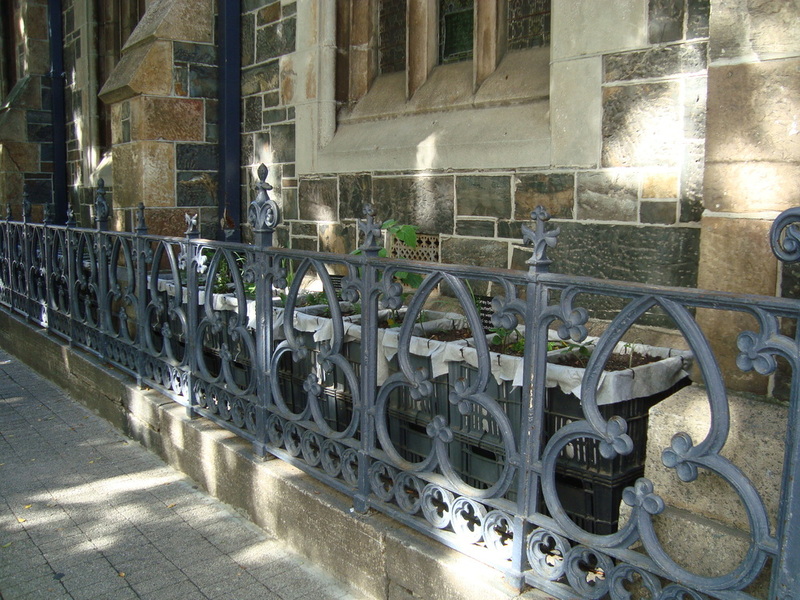 There are shady spots for picnics, several seating options, a volleyball court, a bike track with miniature traffic lights, and even a small free community library that residents donate books to. New jungle gyms for smaller tots have recently been installed with rubber matting surfaces. Such a lovely park to visit if you have kids. Take Note that there are no ablution facilities at the Park.